This picture is of the Calcirhynchia calcaria brachiopod fossil. 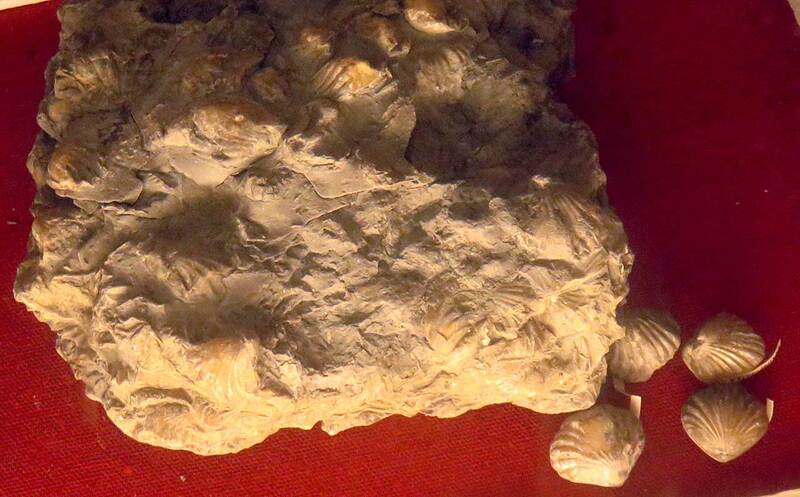 It was found in the Blue Lias, Seven Rock Point (Copper Shales) of Lyme Regis England. The fossils date back to the Lower Jurassic Period.